If you or a family member was injured in a car accident or through the negligence of a doctor or hospital, the consequences can be long term and debilitating. As a Southern California attorney, I’ve worked with numerous clients involving medical malpractice, personal injury and motor vehicle accidents. Having practiced on the insurance defense side for roughly 10 years, Rohde Law Office, APC has the experience to know what the defense is going to do before they do it, and I bring that with personalized experience to your case. Our medical malpractice & personal injury law firm has locations in West Covina & Claremont and we’ve served clients throughout the San Gabriel Valley and Southern California for over 15 years. Medical malpractice is defined as “any act or omission by a physician during treatment of a patient that falls below the accepted norms of practice in the medical community and causes an injury to the patient.” Often times medical malpractice involves one or more of the following: Wrong Site Surgery, Surgical Error, Failure to Diagnose, Misdiagnosis, Surgical Instruments Left Inside the Body and/or Birth Defects & Child Brain Injury. When you’re faced with one of the most critical decisions in your life, Rohde Law Office, APC is here to help. We have worked with numerous clients who’ve suffered personal injury or were the victim of medical malpractice throughout the Inland Empire, Los Angeles and Orange Counties from our offices in West Covina and Claremont, CA. We’ve recovered millions of dollars in compensation for our clients and take a “care first” and personalized approach to each and every case. Before we discuss the specific strategy of your case, we want you to be in the right physical and mental state to pursue compensation. That means that we connect you to our doctors, surgeons, chiropractors and other medical professionals that we have worked with for many years to get you the expert medical help you need quickly. Our goal is to get you well first, and then to pursue maximum damages from the responsible parties. We’ve worked with clients on virtually every type of injury case, including: Car Accidents, Premises liability, Motorcycle & Truck Accidents, Bike & Pedestrian Accidents, Dog Bites, Construction Accidents, Slip & Falls and nearly every conceivable way a person can be injured due to the negligence of others. Our personal injury & medical malpractice law offices are conveniently located in West Covina and Claremont, but we can meet you most anywhere in LA, OC or the IE. Call (626) 593-5786 to schedule a free, no obligation consultation today. We represent victims with major medical malpractice claims. Learn more about our medical malpractice representation here. Surgical errors can have lasting and traumatic results both physically and financially. Learn how we help victims of major surgical errors here. Personal injury accidents can happen anywhere. The effects can be severe and lasting. Learn about our approach to personal injury claims here. Auto and car accidents occur without warning. We help clients deal with recovery after a serious auto accident, learn more here. Call (626) 593-5786 to Speak to Richard Personally Today. No matter where you are, or how your injury occurred we want to hear from you today. 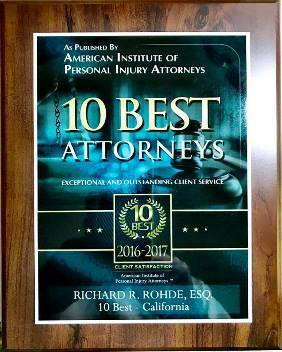 Call the personal injury and medical malpractice lawyers of Rohde Law Office at (626) 593-5786 and talk directly to Mr. Rohde today regarding your case. We may be able to answer some simple questions over the phone, or at least give you some solid legal advice immediately. 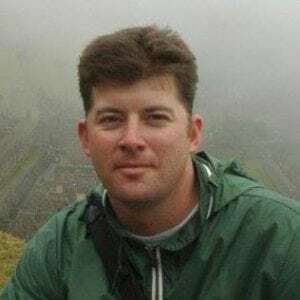 Throughout the life of your case, you will be in direct contact with Mr. Rohde and will not get passed from one attorney to another as is typical in larger “mill” law firm operations. We treat each of our cases as if we were representing a close friend or family member, and that each case involves a special challenge to prevail and recover maximum recovery for our clients.